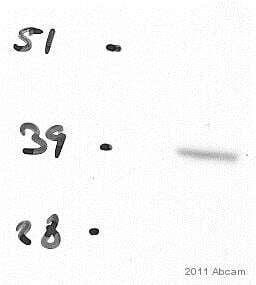 This antibody gave a positive signal in the following whole cell lysates: HeLa; Jurkat; A431; Hek293. 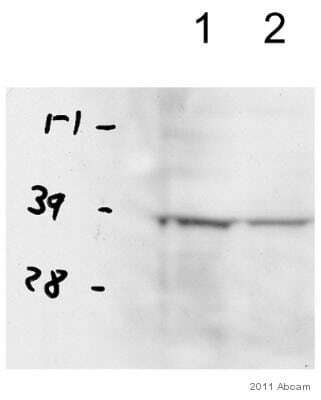 This antibody is the HRP conjugated version of ab9485, for more convenient use as a loading control antibody. Our Abpromise guarantee covers the use of ab9385 in the following tested applications. WB 1/5000. 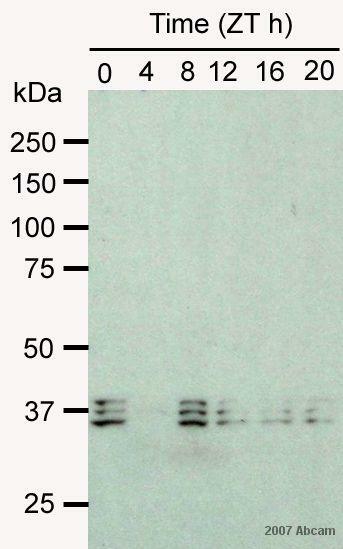 Detects a band of approximately 38 kDa (predicted molecular weight: 36 kDa). 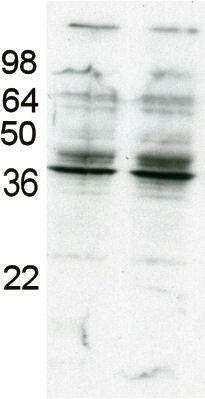 Milk blocking may cause 'no bands' problem. Please try BSA as well.